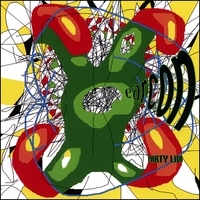 Recommended: earcon's Party Lion CD, available at CD Baby. Tuneful electro with just the right balance of refinement and raunch. Yours truly did the (8 Bit) cover drawing. Also at the link is an interview I did with earcon (aka John Parker) a few years ago, which describes his music and working methods. I'm slightly less ignorant now than when I wrote those questions but the answers are as good a blueprint for a sound artist/musician as ever. Update: more info about the CD on Parker's site.